Newborn photos are so important, as they are only this little for such a short time! 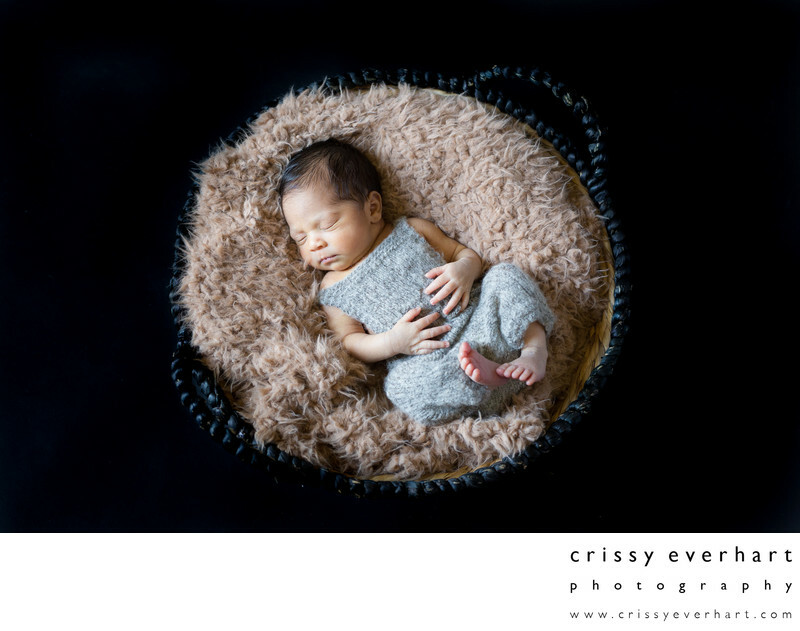 This one week old boy is wearing a pair of knit green overalls and laying on a fluffy brown blanket inside a wicker basket. Color image on black background, taken in client's home.